The Central government whose ambitious NJAC Act was scrapped by the apex court wholeheartedly participated in efforts to improve the collegium system but dropped a bomb shell telling the court today not to rule out government yet again bringing a new law for appointment of judges to higher judiciary. “The Union of India is submitting the following suggestions for improvement of the current system for judicial appointments subject to its reservation about the correctness of the judgment in Supreme Court Advocates-on-Record Association and others v. Union of India and others dated 16.10.2015 The Union of India reserves its liberty to take such action as it may decide fit in that regard and nothing in these suggestions or participation in these proceedings ought to be construed as the Union of India being estopped from such action”, Attorney General Mukul Rohatgi said in a note submitted to the court giving his suggestions to improve the collegiums system. “While being in humble agreement with the unanimous view of this Court in the judgment on the specific point that reform of the collegium system of appointments is essential, the proper procedure for effectuating such improvement must also be carefully considered. Notwithstanding anything laid down in these proceedings, the Parliament shall have the power to make any law, within the parameters of the Constitution, to govern the criteria and process for appointment of judges to the Supreme Court and High Courts. Nothing in these suggestions should be construed as estopping the Parliament or Union of India from exercising such power in the first place”, said the note . Apex court verdict on October 16 had evoked sharp reactions from government with Rohatgi and union minister Arun Jaitley slamming it. While Rohatgi termed it a flawed judgment which ignored the will of the people”, Jaitley kicked off a controversy saying, "Indian democracy cannot be a tyranny of the unelected". Jaitley had used the facebook to slam the Supreme Court for striking down NJAC and said while the judgment upheld the primacy of one basic structure – independence of judiciary – it diminished five other basic structures of the Constitution, namely, Parliamentary democracy, an elected Government, the Council of Ministers, an elected Prime Minister and the elected Leader of the Opposition. “Supreme Court seeking to improve collegium system is in itself an admission that this system is not good. It is a flawed judgment which ignored will of the people, parliament and half the State Legislatures: Government and parliament will decide on making a new law”, Rohatgi had said. Rohatgi said “optimally transparent and accountable and publicly credible mechanism for appointment of judges” was a must. “To ensure public confidence and credibility, the collegium system ought to be efficient, transparent and accountable. Given the large vacancies in the High Courts and given the fact that the date of retirement of judges is known, it is imperative that the High Court collegium recommends names of the prospective candidates at least six months in advance of the actual occurrence of the vacancy, he said. Since the executive has to respond within about 8 weeks to the Supreme Court, the Supreme Court Collegium should finally decide upon the recommendations within 4 weeks of receipt thereof, he said. Similarly, the SC Collegium should make recommendations for appointment of the Judge to the Supreme Court at least three months before occurrence of the vacancy. The SC Collegium should also make recommendations for appointment of the Chief Justice of a High Court at least 3 months before the occurrence of the vacancy, it said. “Well-defined criteria should be established by the Supreme Court of India for appointment to the High Courts and to the Supreme Court as also Chief Justices of the High Court. Such criteria may include, inter alia, merit, seniority, integrity and issues of representativeness, specifically gender, geography and other relevant factors. 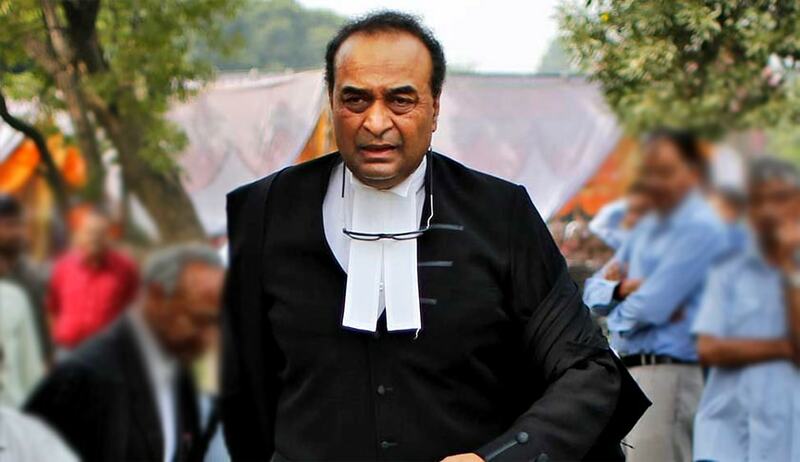 Specific criteria should also be introduced for appointment of members of the Bar and distinguished jurists to the Supreme Court and special emphasis placed on appointing judges from these categories given their historic under-representation”, said Rohatgi. “It has been observed in the last decade or so that largely Chief Justices of High Court are elevated to the Supreme Court. Merit should not be sacrificed for seniority and a deserving candidate who may be a puisne judge of a High Court can be elevated without becoming a Chief Justice”, the AG said. Read the full text of AG's Submissions here.